Denver Bridal Store Now Open! our Denver bridal store is Now Open! If you have been following our blog or social media accounts for the past few months, you know we've been working so hard to get our newest Brilliant Bridal location open! We'll spare you the boring details, but suffice it to say, after planning to be open in December 2014 (!) our beautiful spot at 326 South Broadway in Denver is 100% up to code and approved by every. single. department. the City of Denver has to offer! We're just so thrilled to finally be able to introduce ourselves and our unique bridal store concept to brides in the greater Denver area. 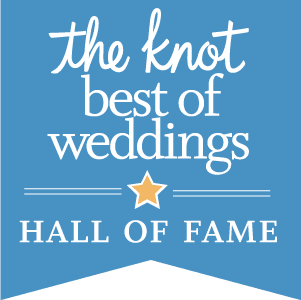 If you are unfamiliar with Brilliant Bridal or what makes us different from all other Denver bridal stores, you can visit our About page to learn more about us. In a nut shell, we sell overstock designer bridal gowns that come to us direct from the designer that we sell off-the-rack for 30% to 80% below retail prices! Our Denver bridal store is our 4th location with our other stores located in Arizona and Los Angeles. We love spoiling brides with our 5 star customer service and providing them with a high end bridal shopping experience without the high end price tag. Though our Denver bridal store is new, our team of stylists have years of experience in the wedding industry at large and as highly educated bridal stylists. If you're a bride-to-be planning to start your wedding dress shopping journey in the Denver area, we would be honored if you visited us at our newest Brilliant Bridal location. You can book an appointment online, by phone at 720.204.8884 or if you are in the area feel free to drop in as walk-ins are always welcome!